This week's student of the week goes out to Taylor Gillespie. Taylor is a hard working grade 12 student. She was nominated by Mr. Grattan for her hard work in her shop class. Teacher of the week goes out to Mrs. Trudy Underhill. 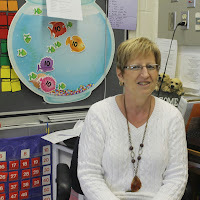 We asked Mrs. Underhill what she likes best about her job and she said, "The best part of my job is the students. The students at BHS are awesome." We also asked her what she likes to do in her spare time. She said, "spending time with Hayley and Owen." 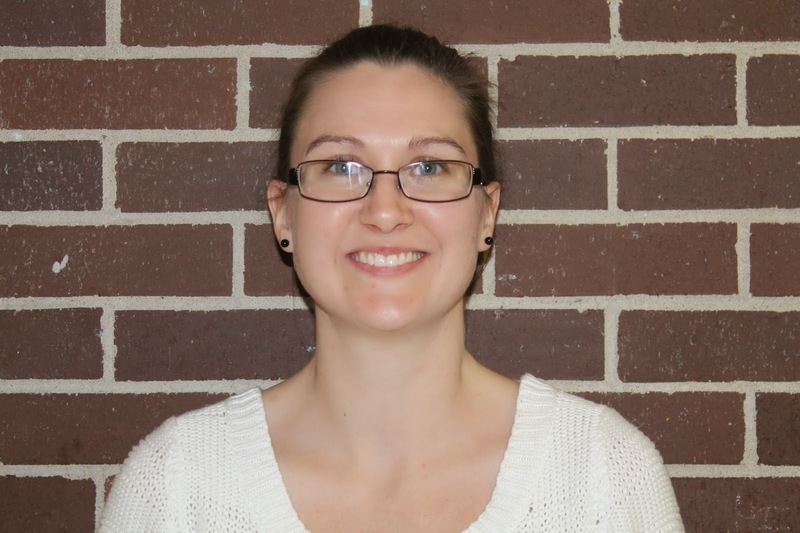 This week's staff of the week is Andrea Donohue. Andrea won staff of the week for her extra hard work helping the high school student council and the high school students with their Christmas formal. Andrea works hard during school and also after school on her own time. as other middle school students watch excitedly. A teacher at Blackville School got a makeover in recognition of the school's fundraising campaign for the Josie Foundation. Mr. Johnston pledged to have his beard (and eyebrows) dyed if the students and staff could raise $500 for the Josie Foundation. 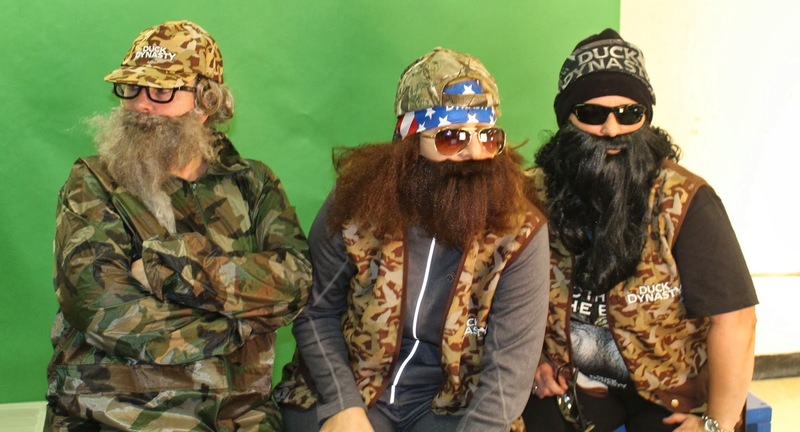 Almost $500 was raised at the middle school dance on Thursday evening, November 28, and other fundraising efforts are continuing into next week. The Josie Foundation is a non-profit organization whose aim is to establish, receive and maintain a fund for the relief of economic hardship for individuals (families) within the Miramichi area who may be encountering financial difficulty as a result of chronic illness. 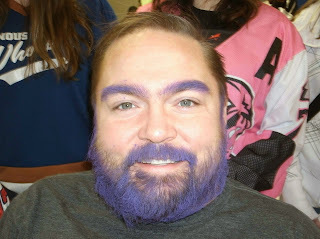 The Josie Foundation's colour is a dark maroon, however purple was used to make his beard colour even more dramatic. For more information on the foundation, visit www.josiefoundation.ca. The bucket filler for this week is Myles Curtis. Myles was chosen for the bucket filler because he is a super classroom helper and is always willing to help a classmate in need. Congratulations from everyone here at BHS! Keep up the great work, Myles ! On Monday, November 25, MLA Southwest Miramichi Jake Stewart visited Blackville School to speak to middle and high school students about the importance of community leadership, giving back, and the Josie Foundation. During the presentation, Jake Stewart, local MLA, founder of the Josie Foundation and an active community member, recalled times in his life when he felt he was not doing enough to help others. While on a Thailand vacation in 2004, he had been present for the Indian Ocean earthquake and tsunami, which was the third largest earthquake ever recorded on a seismograph, and killed approximately 275 000 people. Fear stricken, he, his now wife, and two friends were stranded in the plane to their destination, all of them were unaware of the disaster unfolding below. Eight hours after landing, they finally made it from the airport to their hotel, which was miraculously saved. Panicked, they arrived at the hotel and realized the magnitude of the natural disaster. The next day, when asked to help collect dead bodies and search for survivors, he had declined out of fear of catching fatal diseases such as malaria. He went on to say that this decision is one that he will forever regret, but insisted that he may not be the person he is today if he had not have said no. After this experience, he had realized the importance of giving back. A few years later, he had founded the Josie Foundation; a local, nonprofit organization aimed to financially help and support people dealing with a chronic illness. 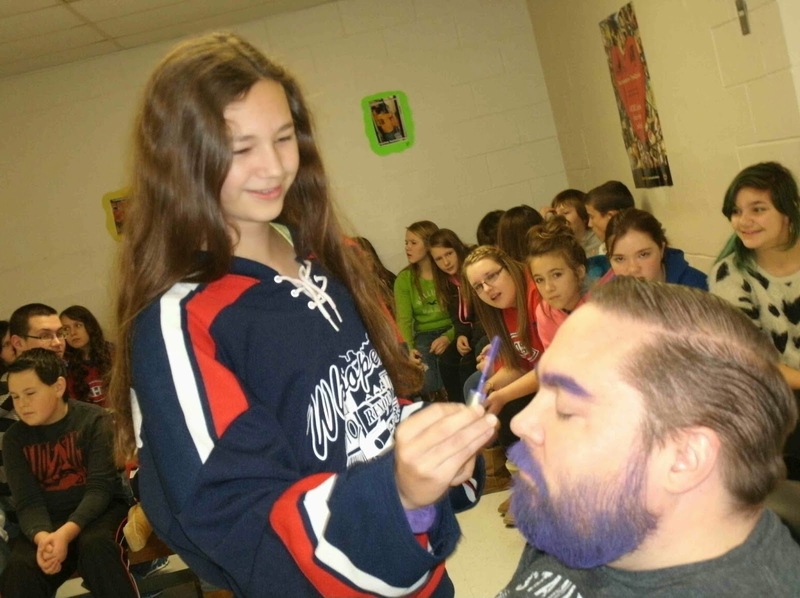 Jake Stewart had stressed the importance of helping others, and encouraged the student at Blackville School to look out for one another, and help the community in any way possible. For more information on the Josie Foundation, visit www.josiefoundation.ca. High school teacher of the week goes out to Mr. Norton. Mr. Norton teaches high school math class and physics. We asked Mr. Norton what he likes best about his job and he said "the students." We also asked him what he likes to do in his spare time, and he said "play hockey". 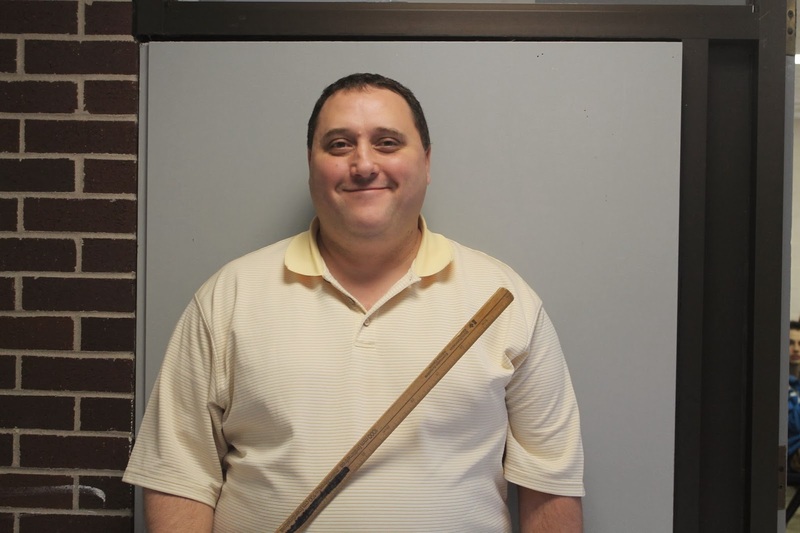 The staff of the week goes out to Mr. Sturgeon for coaching the high school girls basketball team. We asked Mr. Sturgeon what he likes best about coaching basketball, and he said "seeing people learn a skill for the first time." We also asked him what he likes to do in his spare time and he told us "four wheeling and doing stuff with the Fire Department." Photos and articles by Maghen Nash, Keisha Mountain and Karlee Coughlan. This week's School's In podcast with hosts Kyla Coughlan and Candace Purcell. This week includes an update on what's happening at Blackville School. Stay tuned for next week's podcast that will featured an interview with local author Valerie Sherrard. 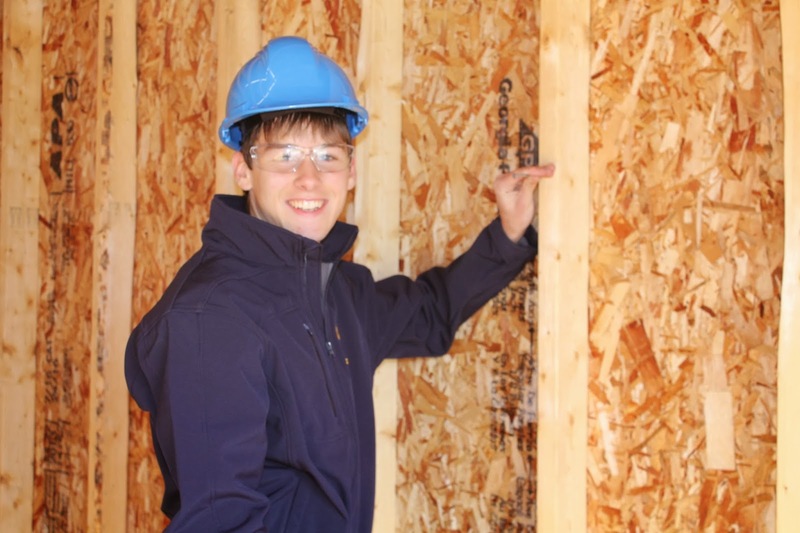 Student of the week goes out to a grade 12 student who works very hard in all of his classes, Devan Brophy. Devan was nominated by Mr. Grattan for his hard work in shop class. This week's teacher of the week goes out to a elementary teacher who teaches kindergarten, Mrs. Hallihan. 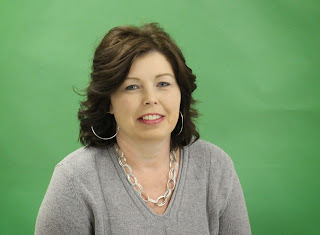 Mrs. Hallihan has been a teacher now for over 20 years. 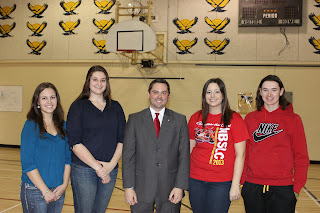 We asked Mrs. Hallihan what university she attended and she told us "UNB Fredericton." We also asked what she likes to do in her spare time and she said "I like to go shopping." 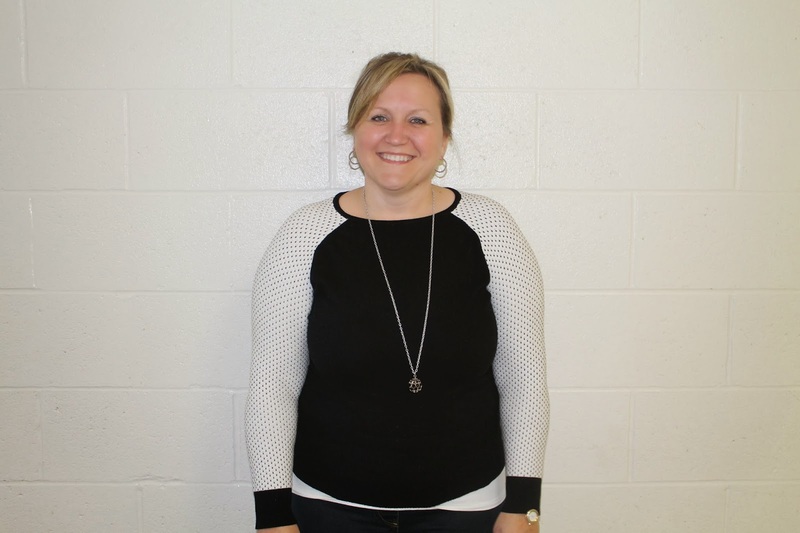 Staff of the week goes out to our vice principal who is new to our school this year, Mrs. Underhill. We asked Mrs.Underhill what she likes best about her job, and she said "I get to help and talk to all the students." We also asked what she likes to do in her spare time, and she said "I like to walk, read and cook." 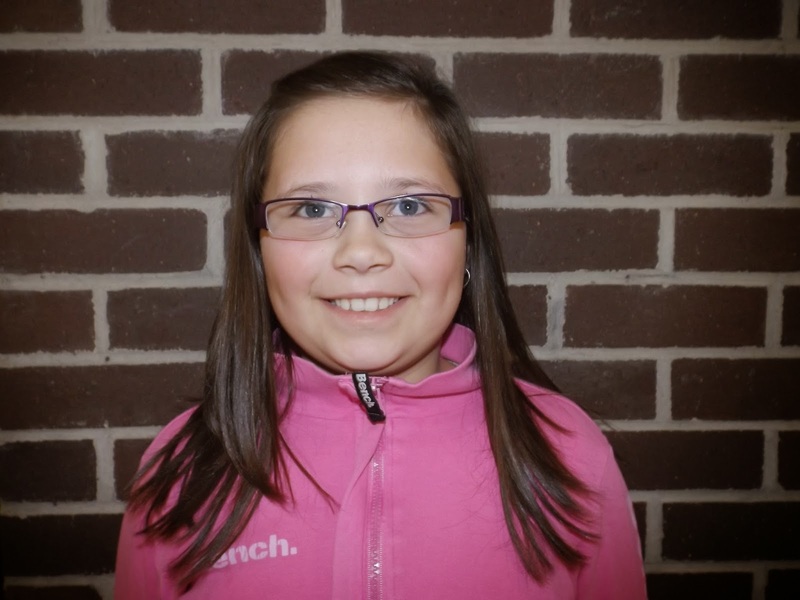 This week's Bucket Filler is Drea Hallihan from Miss Dunn's grade 4 glass. Drea was picked as this week's bucket filler because she is always quick to lend a hand and is kind and generous to her peers. Congratulations from everyone here at BHS ! Keep up the great work! Elementary students at Blackville School did an interdisciplinary unit on apples in October. They finished the unit with a special day with apple themed activities. Some grade five students put together a presentation with pictures and video. Grade five teacher Mrs. Jennifer Hallihan said, "I am very happy with how the video turned out and proud of elementary students for their hard work." 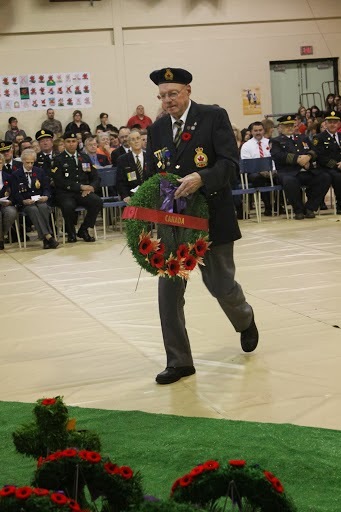 Hosts Candace Purcell and Kyla Coughlan share two poems for the Remembrance Day edition. Check out the podcast below. Each year at Blackville School the grade 9 students participate in the annual Take Your Kid To Work Day that allows them to visit a the work place of their choice and to become an employee for a day. On Wednesday, November 6, the grade 9 students went to a work place of their choice to learn about that certain career. The purpose of this is for the students to learn about this career and for them to see what it is like to be an employee for a day. 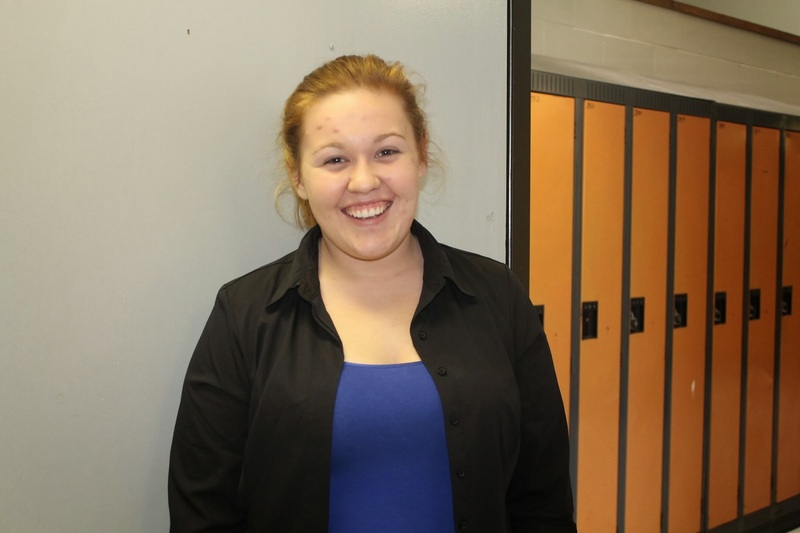 Kailey Donovan is a grade 9 student that took part in Take Your Kid To Work Day. Kailey went to work at her aunt's daycare called Stacy's Play and Learn. We asked her what her experience was like, and she told us "working at my aunt's daycare was really fun and I enjoyed the experience and time there." Tanner Gillespie is also a grade 9 student that took park in Take Your Kid To Work Day. 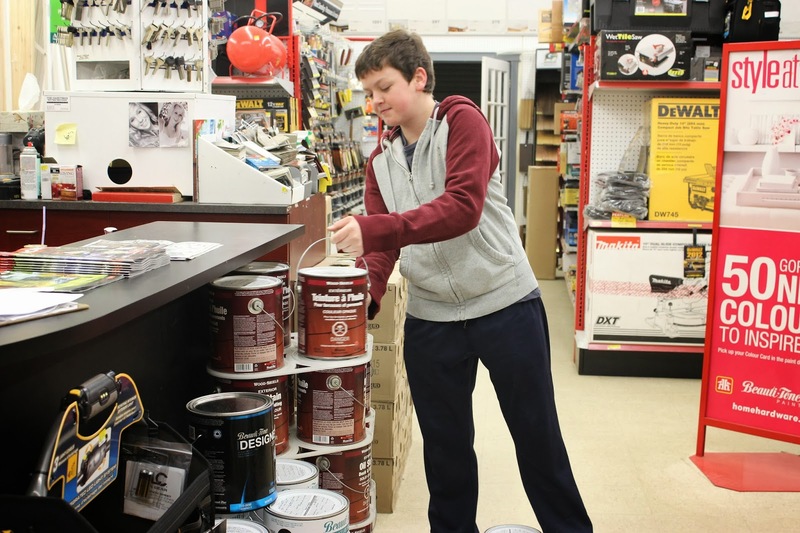 Tanner went to the Blackville Home Hardware where his first cousin works. 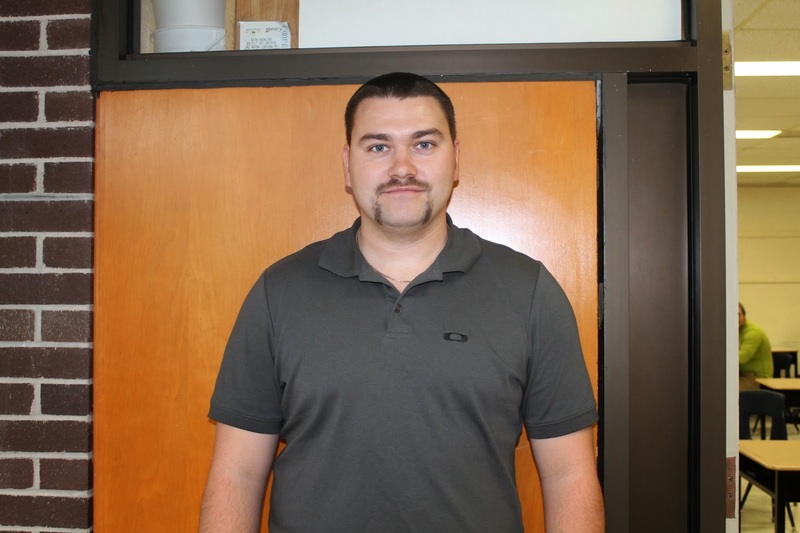 We asked Tanner what his experience was like, and he said, "my experience working at Home Hardware was really fun. I learned how to work the cash and how to mix paint. I really enjoyed it." 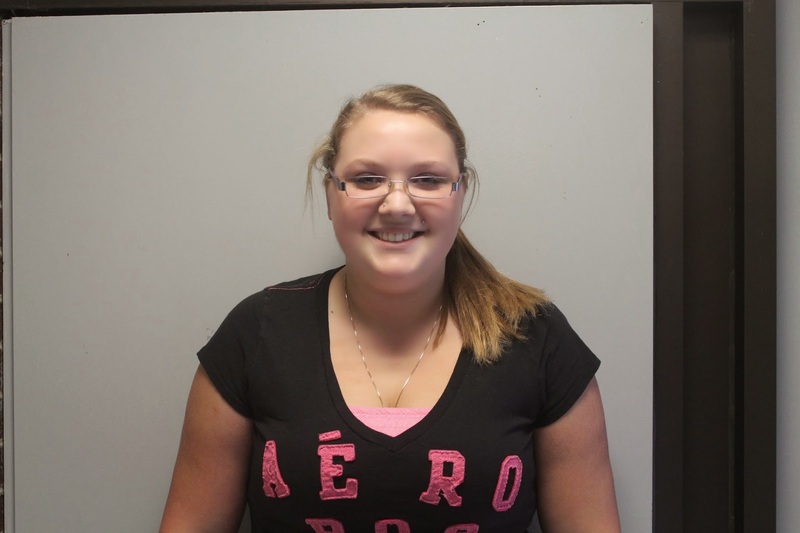 Student of the month for Blackville School this month goes out to Larissa Breynton. 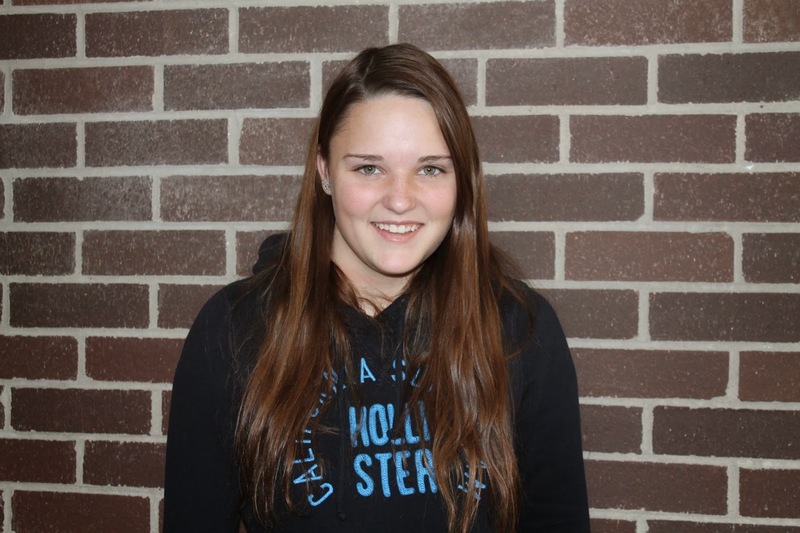 Larissa is a grade 11 student, and she was nominated by Mrs. Brophy. Larissa is very hard working and she always puts lots of effort into her work in class. The teacher of the week is Mr. Sturgeon. 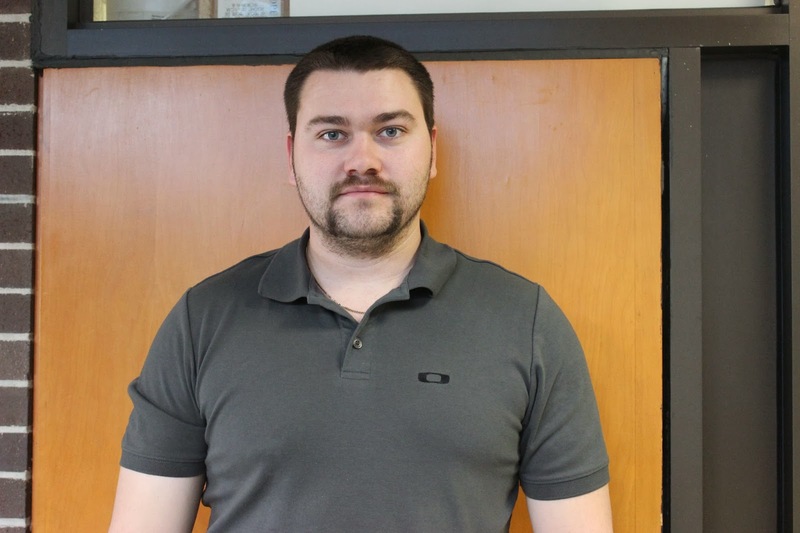 Mr. Sturgeon is new at our school this year as a full time teacher. We asked Mr. Sturgeon what he likes to do in his spare time, and he said "four wheeling." We also asked him where he studied and what he likes best about his job, he said "I studied at UNB Fredericton and what I like best about my job is teaching my Outdoor Pursuits class". 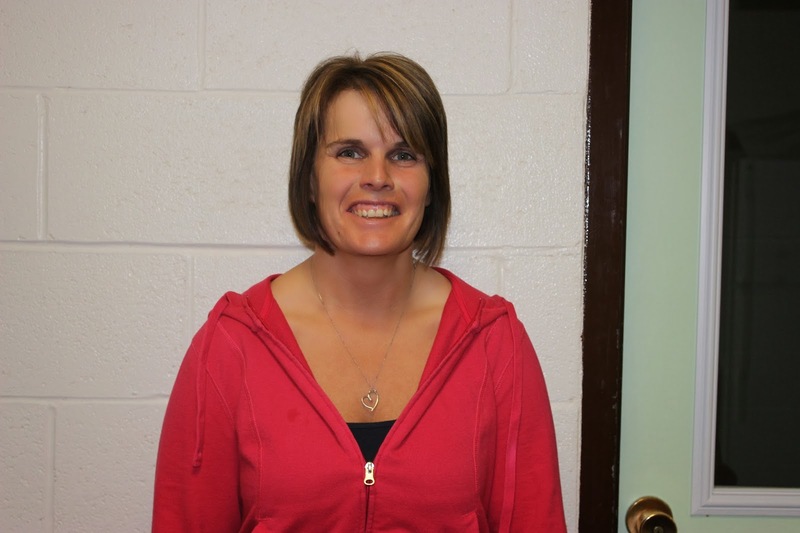 The staff of the week for Blackville School is Bernadette. 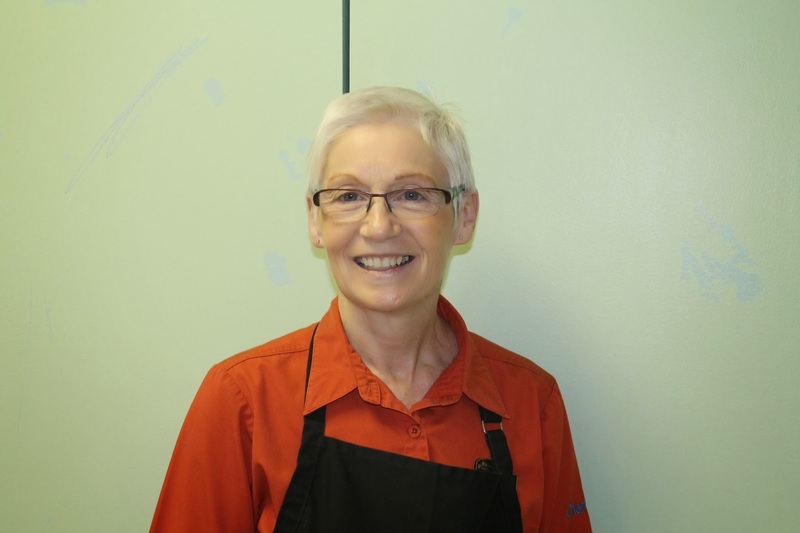 Bernadette is part of the Blackville School's cafeteria staff. She is very hard working and is known as a friendly person. We asked her what she likes best about her job and she said "the people." We also asked her what she likes to do in her spare time, she said "spending time with my great granddaughter." In Canada alone, there are 1.6 million households that face food insecurity, which means that nearly one in eight families experience this problem. Therefore, it is understandable that nearly 4.0 million Canadians, including 1.1 million people under the age of eighteen do not have nutritious, safe food readily available. While these students traveled door to door, they asked for non-perishable food items au lieu to the chocolate bars and suckers that are normally handed out for Halloween. To the fifty-six registered clients that depend on the Blackville Food bank to ensure that their families are able to eat, this will hopefully help them out. 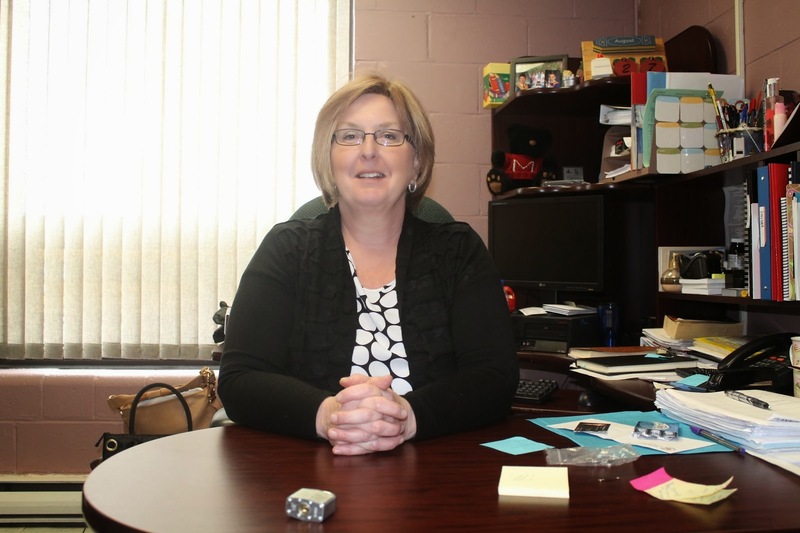 An Interview with Home and School Committee President, Necia Nash. 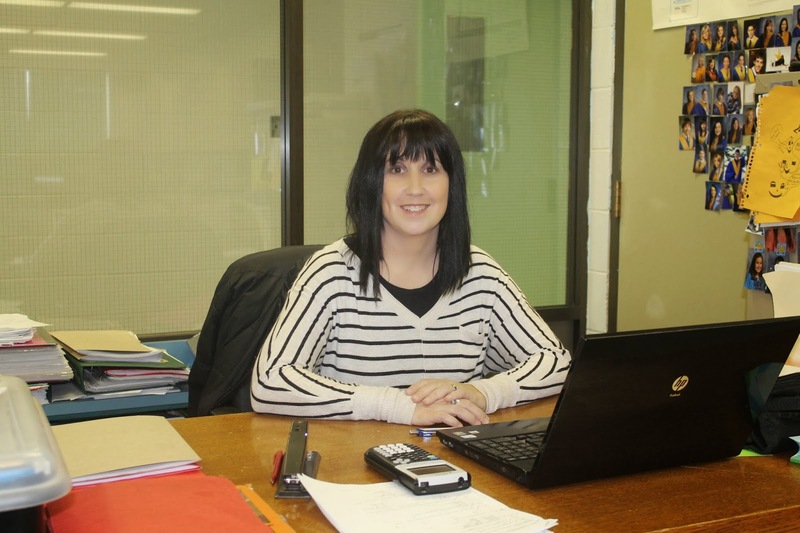 Necia Nash is the Blackville Home and School Committee President. Schools in hosts Candace and Kyla had the privilege of meeting with her this past week and asking her a few questions. Check out the podcast below to hear the interview. Student of the week for high school is Keisha Kelly. Keisha is a grade 11 student. She was chosen by not one teacher but two, Mr. Sturgeon and Mr. Grattan. Keisha always works hard, and she is very cooperative. Teacher of the week is a middle school/ elementary teacher who started as a full time teacher at Blackville School just this year. Ms. McEvoy was chosen. We asked Ms. McEvoy where she studied and she said "Dalhousie University and University of Maine at Presque Isle." In her spare time she likes to read, cook, hangout with friends and family, and traveling. We also asked her what she likes best about teaching, and she said it was her students. Staff of the week for this week is Tammy Donovan. 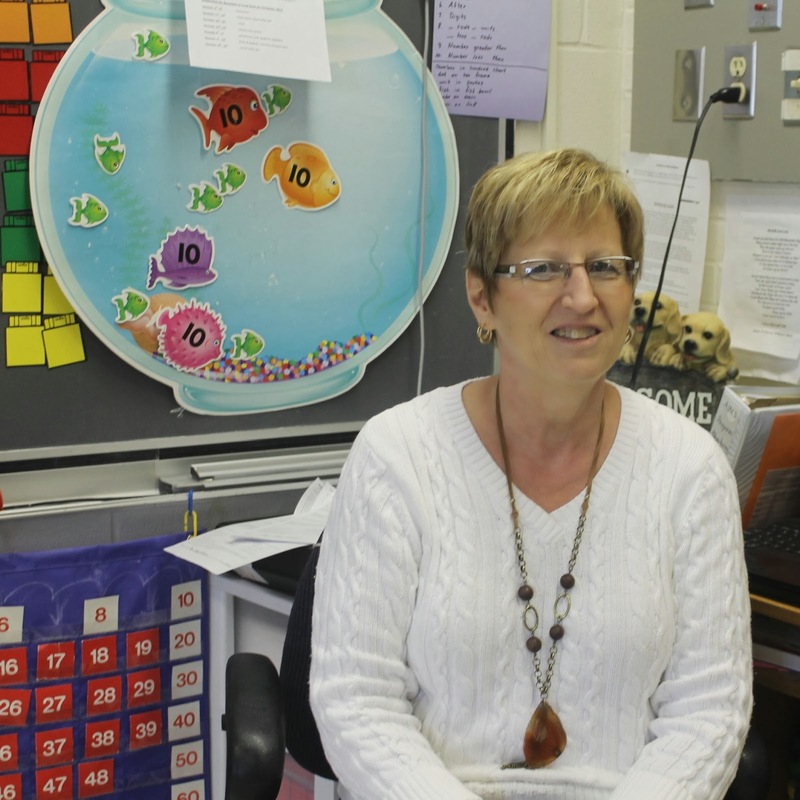 Tammy is known as an educational assistant at Blackville School. We asked Tammy what she likes best about her job, and she said "working with the kids and all the other educational assistants." 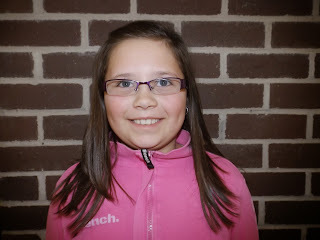 We also asked her what she likes to do in her spare time and she told us spending time with her family and reading.